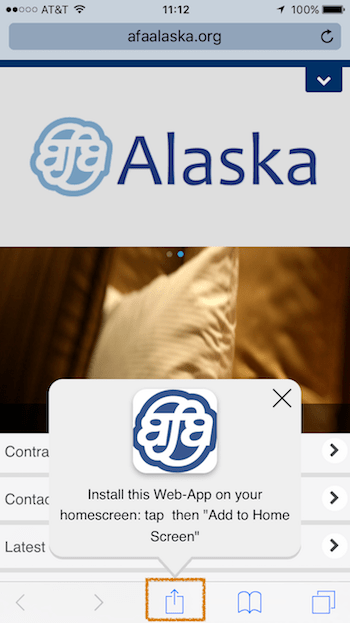 AFA Alaska news and information are now easier to access than ever with the recent launch of our new optimized mobile website. 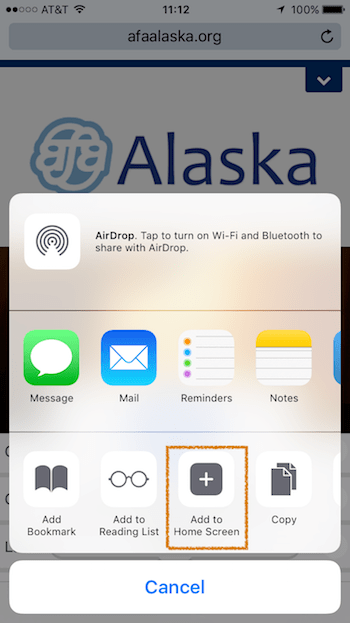 Just visit afaalaska.org on your IMD or personal smartphone for easy access to AFA resources when you’re on the go. The mobile web app will be available as an icon on your desktop an you’ll have easy access whenever you need it. 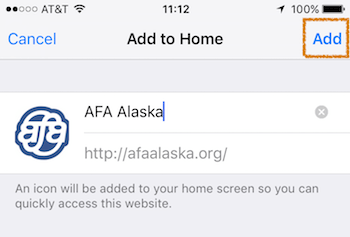 Please note that the AFA Alaska web app requires an active Internet connection to function. If you have any questions, please feel free to contact your Local Council.